About Jon A. Message Jon A.
Jon provided an excellent tour of the island. He is a local with extensive knowledge and experience. We would recommend him to anyone desiring to see Kauai. TOUR GUIDE RESPONSE: Mahalo for the great review! It was pleasure meeting you Sandra and David! With warm Aloha & Best wishes, Jon A.
John is an excellent tour guide for Kawai. He is intimately familiar with all areas of the island and it's history. He provided us with an in-depth tour of Waimea Canyon the surrounding waterfalls, the town of Waimea Turtles Bay, sprouting Horne, etc. It was a thoroughly enjoy a bowl day. I wholeheartedly recommend John! TOUR GUIDE RESPONSE: Aloha Lori, Thank you for your wonderful review. I had a great time showing you and your family the best of Kauai! Aloha, Jon A.
Jon was a very good tour guide. We had a large group and he had a van large enough to accommodate us. Jon took us to some places that we haven't seen before and some places that were not listed on the tour. He was very knowledgeable and did a good job at keeping our group moving to try and see everything that he had planned for the tour. He was easy to understand and had a good microphone in his vehicle where everyone could hear him talking. TOUR GUIDE RESPONSE: Mahalo for a great review Kay! Warm Aloha & Happy Holidays! Jon A. This was a great tour! I highly recommend it & tour guide Jon! He was very accommodating and always willing to take photos of our group of 6. His narrative of every where we went such as the waterfalls, Waimea Canyon and the blow hole gave us a better understanding of what we were seeing. Great job Jon! Jon was an excellent guide, extremely informative and very flexible as we had limited time. We arrived late and he was patient as we had to resolve an issue with Air Hawaii even before we could start our tour. We were only on Kauai for the day but we visited all the sites we discussed and had the most delicious lunch. TOUR GUIDE RESPONSE: Aloha Catherine! Mahalo Catherine for a great review! It was my pleasure taking your group on a tour of our lovely island. Aloha from Kauai, Jon A.
Jon is very knowledgeable about Kauai, and was able to take us to places the big tour busses cannot get to. We saw much more than just Waimea Canyon, although it was a highlight for sure. We took the tour with my elderly parents who required a little extra time where any walking was required. Jon was very accommodating and gave us the time we needed without cutting the tour short. I was very impressed. I highly recommend this tour! TOUR GUIDE RESPONSE: Mahalo Eric for your fabulous review! It was my pleasure showing you and your family our beautiful island and I am really happy that you enjoyed your day. Wishing you more fun & safe travels! Aloha, Jon A.
I would not recommend using the tour guide we had it was unfortunate that our tour guide had very limited knowledge of the island and it's incredible offerings. Jon, is extremely knowledgeable and graciously kept my family of 5 on track with our limited time. We definitely got our money's worth with all of the sights and hidden gems that Jon showed us. TOUR GUIDE RESPONSE: Aloha John, Mahalo for a great review John! It was my pleasure taking you and your family on a tour of the island. Kauai is a very special place and I am very happy that you enjoyed the day. All the best, Jon A. My wife and I took Jon A. 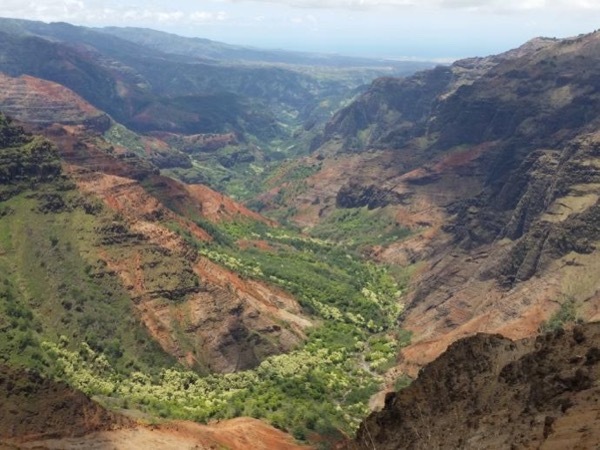 's tour after being in Kauai for a week and we found it to be a wonderful tour with lots of new information and insights from a local perspective. Jon had lots of information that we didn't get from other guides, and he was very conversational and open to talk about any aspect of living on the island. He knew lots of great spots, where to do shopping, where to get good local food. A great trip! TOUR GUIDE RESPONSE: Mahalo Michael for your great review! It was my pleasure showing you and Ling around beautiful Kauai. You chose the best place in the world to honeymoon and I am really happy you enjoyed your tour. With warm Aloha and best wishes on your life together! Jon A.